The pains and wrestling and illuminations of a pied poet. 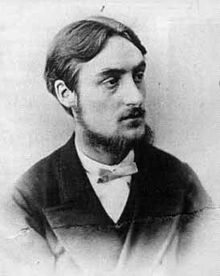 Those who are familiar with the poetry of Gerard Manley Hopkins know that only he can give us a world “shining from shook foil,” all while giving thanks for “whatever is fickle, freckled.” His lines are alluring in their inventiveness, their harsh clash of consonants mirroring the honesty and eagerness of the speaker himself. Through poems like “Pied Beauty,” “The Windhover,” and “God’s Grandeur,” we catch the thread of Hopkins’s peculiarity, a vivacity intertwined with his deep Catholic faith, and this sense inevitably grows on the reader. The way his lines spring with life simply can’t let us go because we long to join him in the doxology of life, the eager exploration of all Creation. But there’s also a darker side of Hopkins, a side that is perhaps more dominant than the high points of his literary career. A side marred with doubt, a lack of confidence, despair—one that simply a cursory reading of his can’t discover. We see the angst in his so-called “Terrible Sonnets” and other poems that twist and turn in their anxiety, in their struggle to make sense of things, to make sense of the fickle self and a longing to be finally and ultimately whole. At times, his frustration with the limits of language causes him to omit words and abandon normal sentence structure altogether: “that year / of now done darkness I wretch lay wrestling with (my God!) my God.” It’s as if we as readers are given a play-by-play, a stream-of-consciousness window into the inner workings of Hopkins’s mind. His attentiveness to language sheds light on his own paranoia and obsessiveness—the way he frets over every syllable, trying to break the syntax down beyond verse to conversation and even beyond that. But his frustrations were less concerned with the failure of language and more with the failings he found in his own character. Hopkins’s diaries and notebooks are filled with rigorous, exhaustive detail. He recalls his numerous walks in nature: of the uniqueness of a leaf, the flesh-like quality of the sky “blushing” in its “turquoise-like” splendor. (At one point, he even free associates a connection between “oats” and “oaks” simply because the words sound so similar. He then proceeds to list every possible detail imaginable he can connect with these two things). And here, Hopkins is at his finest. His longing for spiritual, emotional, and bodily freedom drive his use of language to the uttermost limits. It’s as if he asks with the Psalmist: My soul is also greatly troubled. But you, O Lord—how long? If there is one thing I admire most about Hopkins, it is the sincerity with which he confronts all things, both in the exterior and interior worlds. What if we approach our lives with the same tenacity—with the same drive to expose every struggle, every bittersweet moment to the light—and somehow give the Creator thanks and praise? It is simply not enough to dwell in the dark night of the soul, as St. John of the Cross would say. Instead, Hopkins offers us a glimmer of joy through pain, of the eschaton the body groans and longs for. All quotations taken from Poems and Prose of Gerard Manley Hopkins (Penguin, 1985) and the ESV Bible. Aaron Brown is a novelist and poet who lived for ten years in Chad, Africa. An MFA candidate at the University of Maryland, he is the author of the novella Bound (2012) and the poetry chapbook Winnower (2013), both published by Wipf & Stock. His work has appeared or is forthcoming in Tupelo Quarterly, Warscapes, The Curator, The Portland Review, Polaris, North Central Review, Windhover, Saint Katherine Review, and jmww, among others. You can read more about his work at www.writingtheinbetween.com. He lives with his wife in Lanham, Maryland.